Being able to add your own categories has been a popular request from the Planto community. While not exactly custom categories, they offer a lot more flexibility and are quick to get started with - helping you analyze, search and better organize your expenses. Go to the Monitor tab and tap the transaction you want to assign a tag to. Input one or more #[your assigned tag name] in the note section (you can always edit it later). Go to By Category under the Monitor tab and scroll down to see all the tags you’ve created. Click on each tag to see the breakdown and analytics! Input any tags in the Search Transactions bar to see all related transactions. … or anything else that comes to mind - you can be as creative as you want with #tags! 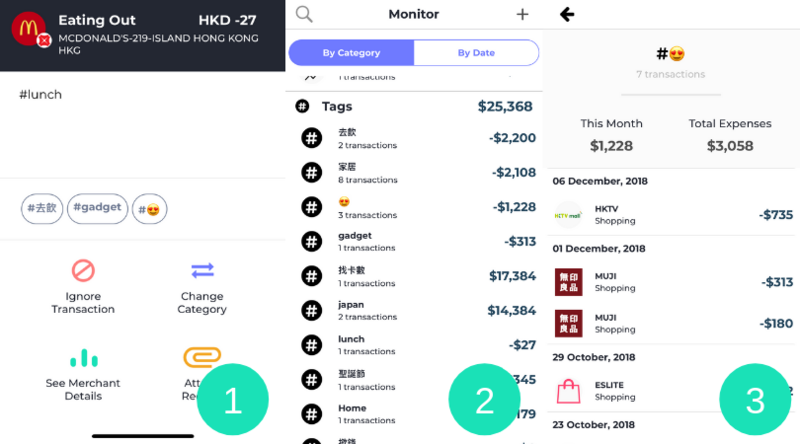 Give #tags a try and let us know what you think and how you’re using it by contacting us through Live Chat or email at hello@planto.hk.